Farm Girl Adventures: What's with this weather anyway? What's with this weather anyway? This morning I looked at the thermometer around 9:30 and said holy cow, time to go out and play. Since I am sick with a hacking cough, Papa went out to play instead. 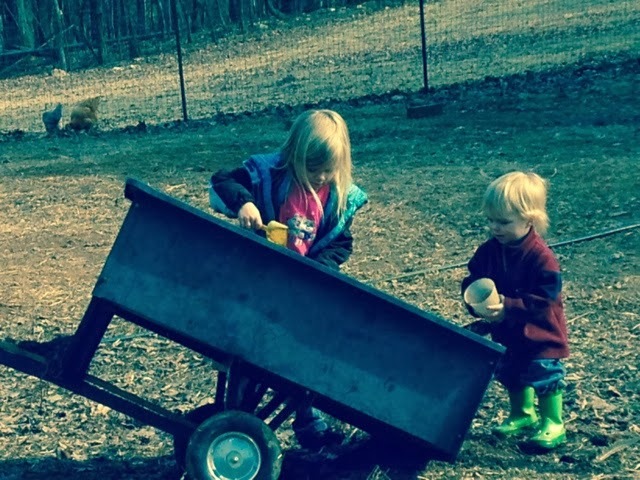 He went and got dirt to fill the holes where the swings were. He had some help filling the holes. They worked so hard they were hungry for lunch. 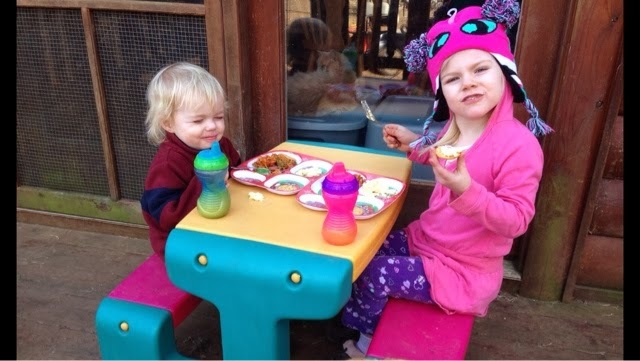 A picnic was just the thing for some grubby yard workers. We said smile Michael, and that was what we got. 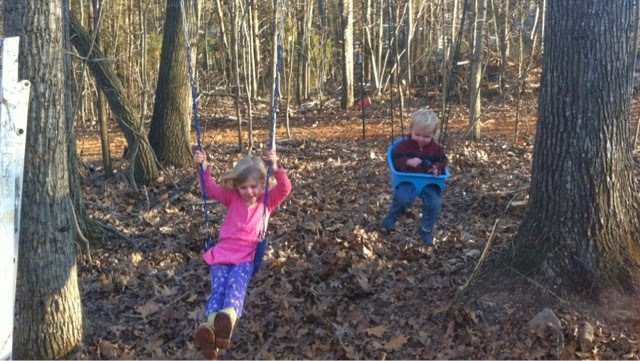 After Mommy got hooks for the swings, Daddy hung them and the kids got to swing in their own yard. We have another crossbeam to hang, since she has another couple of swings to hang. It was a nice day to be outside, supposed to turn colder for the next couple of days again, not even above freezing tomorrow.